For self-pub authors, social media can be either a best friend or worst enemy. Facebook, Twitter, Pinterest, Tumblr—all of these are valuable resources for writers as they attempt to spread the word about their latest works and connect with an audience. Without a clear social media strategy however, these same platforms can become a major source of procrastination. So what, if any, is the “right” way to make social media work for you? 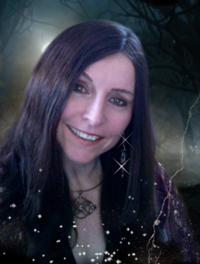 To answer this question we enlisted the help of Maggie Shayne, the self-pub author and social media dynamo behind the Immortal Witches trilogy and a handful of other dark and steamy reads. What moves the dial? Does a “like” turn into a purchase, a fan, or an ambassador for you? Is this what writers should be aiming for? What moves the dial is personal and sincere interaction with the fans. Don’t try to sell to them. Just be there, talking about normal stuff the way you’d talk to your friends and having a good time. Share challenges within reason (never become a public complainer, it’s unbecoming) and share how you deal with them, too. Let people know you’re a real human being with a life a lot like theirs, and that you care about them. You can’t fake that. That has to come from a real place inside you. You can’t measure the payback of this sort of thing in numbers of sales. I think long term, it’s more karmic. The more people smile when they think of you, the better your life is going to be. It’s about making other people feel they are important and worthy of your time. That’s what it is at the heart of it. How much time do you spend on social daily? What social media platforms do you use? I’m mainly a Facebook girl. I have a Maggie Shayne page, a Wings in the Night page. I also use Twitter quite a bit, and have been dipping my toes into Instagram and Pinterest. I blog at MaggiesBlissBlog.com . I spend anywhere from an hour to two hours online each day, but it’s fun for me. It needn’t be that time-intensive. What is an effective social media strategy for an eBook author? What is simple timewasting? For me, the most effective strategy is having fun. If you hate doing something, it’s never going to be effective. If you don’t enjoy social media, don’t use it. Everything in life is like this. If we trusted our gut feelings more, we’d be far better off. Have fun with it. That way if it works, bonus. Who if any, are some other socially active authors that you think set a good example? Have you ever had a memorable interaction with a reader over social media? A reader had a doomed pregnancy. She was told to have an abortion because the baby wouldn’t survive anyway, and if she tried to carry the child, she wouldn’t make it either. This reader read EDGE OF TWILIGHT, a book with a doomed pregnancy and a miracle ending. The way the book came to her, she was sure it was a sign. (I am, too.) Someone gave it to her to cheer her up, not even knowing the subject matter. Anyway, the mom decided it was a sign, and she carried the baby to term. Her little girl was born healthy. All are still doing well today. I treasure the email I got from her. I’ve had lots of others. Readers email me for advice, or during challenging times for encouragement, and I’m always there for them. Introducing Red Door Reads and WHO’S BEN SKREWD? Announcing The 2017 KWL Cover Contest! Vote For Your Favourite!